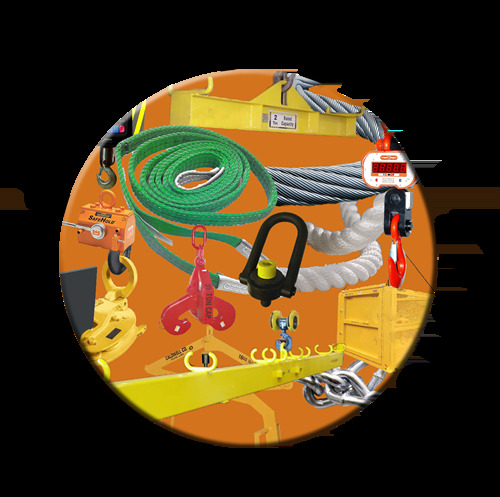 We Are Your #1 Source for Below the Hook Lifting Devices. Whether you require a lifting beam to carry irregular loads or a scale to weigh an object, BelowTheHookWarehouse.com carries everything you need to supplement your crane. Feel free to browse our below the hook products to find the perfect device for your application! Why do we need spreader bar beams? - Many of the original spreader bar beams have remained in service for more than 10 years after they were introduced. However, the rising demand for new and updated spreader bar beams continues unabated. Spreader beams are a type of below-the-hook lifting device which often lift loads with single or multiple attachment points. Learn more about a crane scale - A crane scale is mainly designed for weighing heavy loads while being managed by a crane. They are meant to weigh loads while being suspended freely overhead. Crane scales are some of the strongest instruments which can be used when a person wants to weigh extremely heavy things. What is an industrial lifting magnet? - Magnet cranes are extremely useful lifters which offer a lot of advantages over cranes with chains and slings. Magnet cranes are able to move a variety of metals, varying from small bundles of scrap to significantly larger heavy blocks. They can also improve your productivity since only one person can be used to operate the magnet. Lifting beams and devices in the crane industry? - Lifting beams and devices are the tools that can easily get an object from one location to another. Lifting devices include forklifts, cranes, and hoists. A lifting device in the crane industry is considered as any device used to lower or raise any materials or objects, usually including rails and other supports. One dimensional crane hook can be transformed into a multi-point lifting tool by simply attaching a spreader beam. Spreader bar beams at BelowTheHookWarehouse.com are of high quality and enable crane workers to have full control of their lifting load. All of our products are designed and built by the highest standards. Customer service staff is available 24/7 for expert advice on every product offered on BelowTheHookWarehouse.com. Whether you have questions regarding lifting devices, crane scales or any other product offered on our site, simply call or email us to clear up any issues or misconceptions. Even the most challenging needs of a customer can be worked out. In a joint effort, service staff and customers can find proper lifting attachments for the most complicated tasks. Our versatile selection offers an excellent choice of industrial magnets with high magnetic capability. BelowTheHookWarehouse.com is here to ensure that the customer’s needs for lifting efficiency and safety are met with low pricing in mind. Make sure to contact us and request a quote. Our customer service staff is ready to assist you in narrowing your choice to one that will best meet your needs.